The sweetest souvenirs in Kyoto! 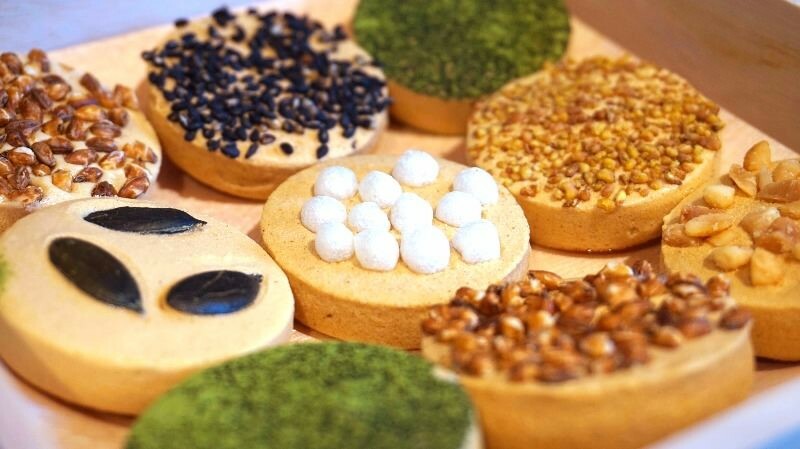 These souvenirs are going to make your mouth water before you can say Kiyomizu-dera! Kyoto is famous for traditional Japanese sweets, but if you come from overseas, you may want to also try something different. 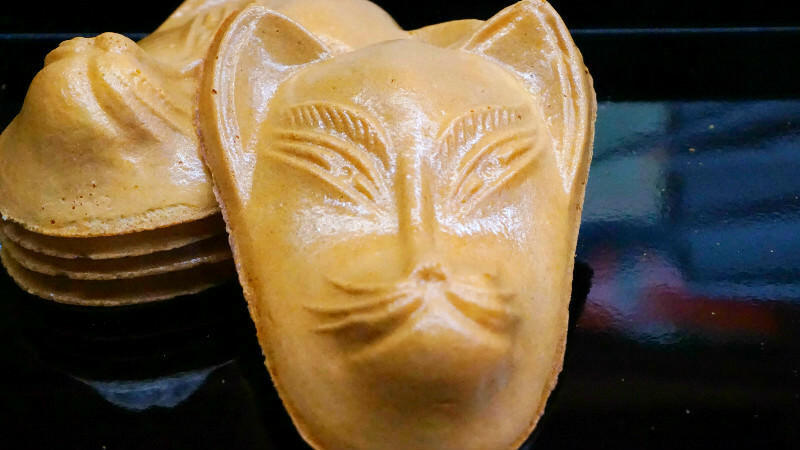 In this article you can find about the best sweet food souvenirs Kyoto has to offer! Marukyu-Koyamaen has been in the tea-business for a long time, they already started selling tea in the Edo period. So, of course the sweets that use their famous matcha tea taste great. The matcha sweets here have a strong taste of matcha that is sure to please the matcha aficionados among our readers. course the sweets that use their famous matcha tea taste great. The matcha sweets here have a strong taste of matcha that is sure to please the matcha aficionados among our readers. Gion Marun is in the famous sightseeing area of Gion, and it is a souvenir shop especially popular among young women. 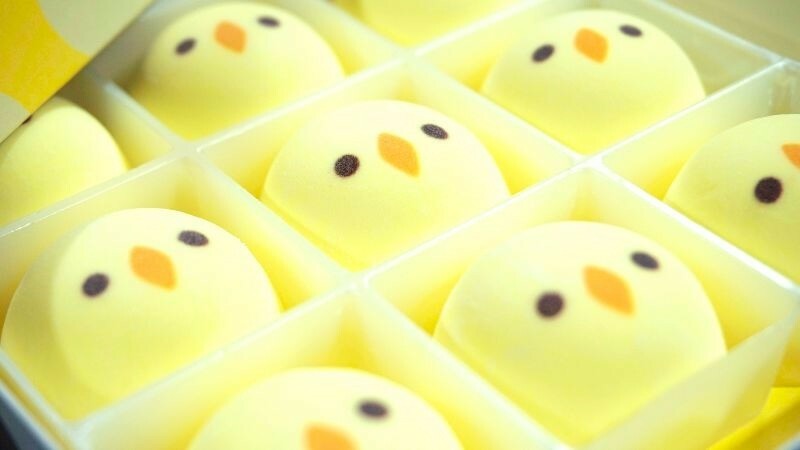 Their specialty is this “Chick Hozui,” Japanese marshmallows that are on the sweeter side of things. Many people come here just to see these cute chick-shaped marshmallows. The colorful Kyoto candy at Crochet is very photogenic, sweet, and yummy! They are always popular, and they keep for a long time, and they look colorful and cute so they make for great souvenirs. 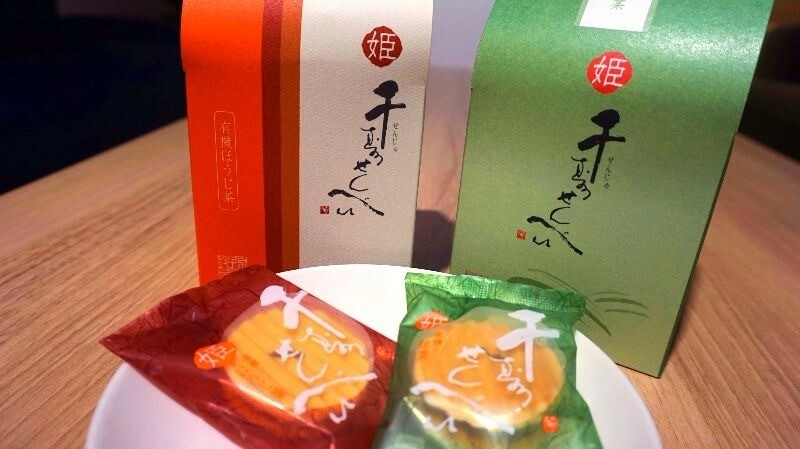 Kogetsu’s Senju Senbei’s are truly a classic souvenir choice, and even though they are called senbei, they are sweet and they have a matcha or hojicha filling. They are like Japanese cookies, and I feel like I could eat really many of them in one sitting. 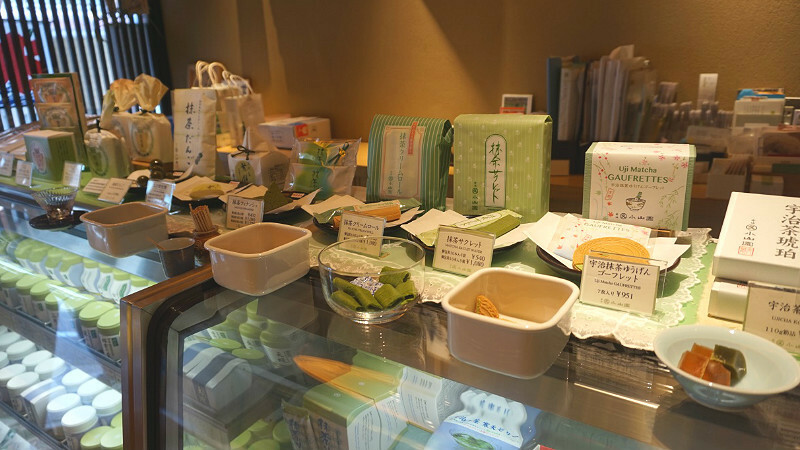 Otabe can be found in Kyoto Station, and they sell many souvenirs that use matcha in them. This matcha baumkuchen spit cake is an especially famous one, and it has just the right amount of matcha and sweetness. 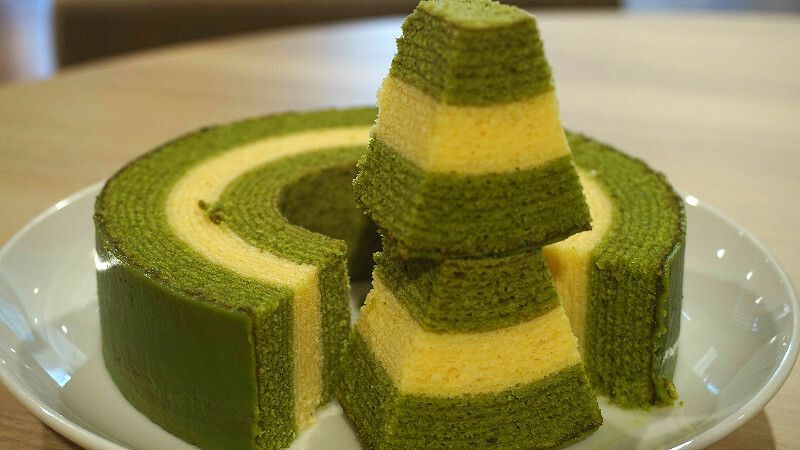 This matcha baumkuchen is great for those who like matcha, but even those who don’t should be able to enjoy it. I personally really like these cookies of Sohonke Kawamichiya. 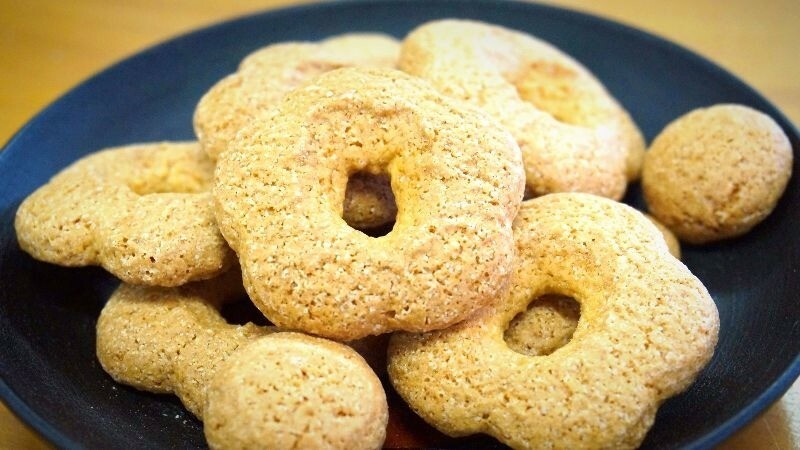 These cookies are very crispy and make a nice sound when you bite into them. These flower-shaped cookies are really cute, and have a nice taste of buckwheat to them; I recommend them! Yoshimura Wagashiten is a new shop by the old and established Kameya Yoshinaga traditional Japanese sweets shop, and it only just opened in 2016. The concept of this shop is “Healthy Japanese sweets” and in accordance with this, all their sweets use only natural sweeteners and have a gentle taste. 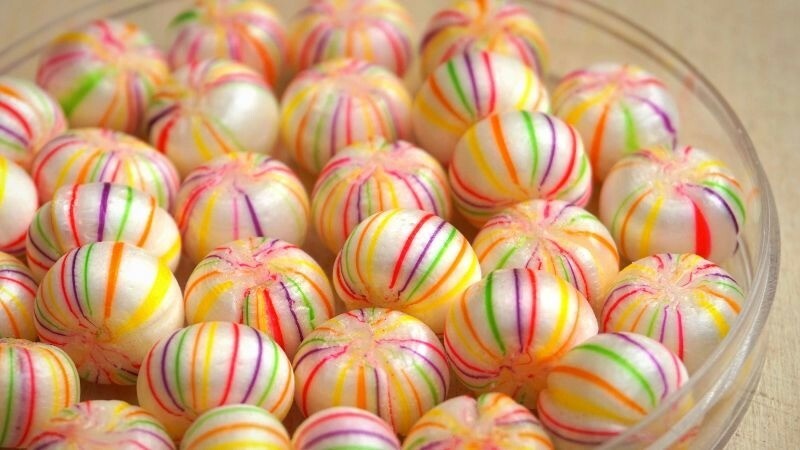 It is nice that they are not only good for your health but also taste sweet and delicious. Hogyoku-do is a souvenir shop close to Fushimi Inari Shrine, and they are famous for their fox-mask shaped senbei cookies. The staff here are incredibly friendly, so be sure to visit this shop! 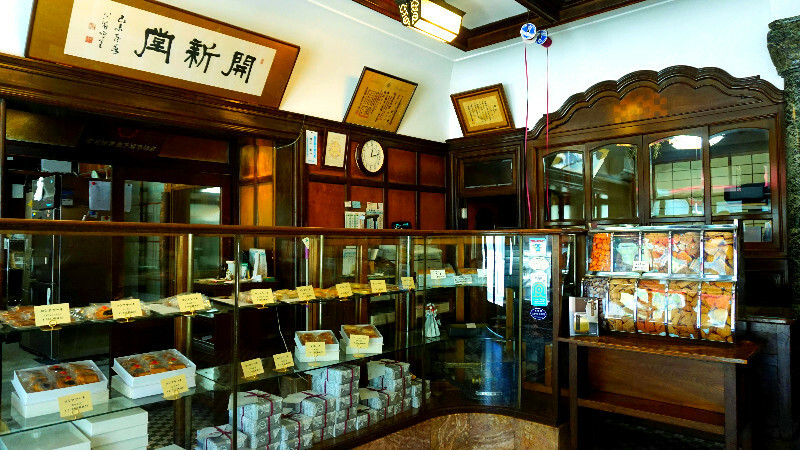 Murakami Kaishindo is one of the oldest western-style sweets shops in Kyoto. They are famous for their “Russian cakes” which are cookies with jam in the middle. These cookies are soft, but still have a nice crisp texture, so they are really good. Our proud number one is Patisserie Karan! Their cheesecakes are really great, and many locals flock to this cake shop to get them. 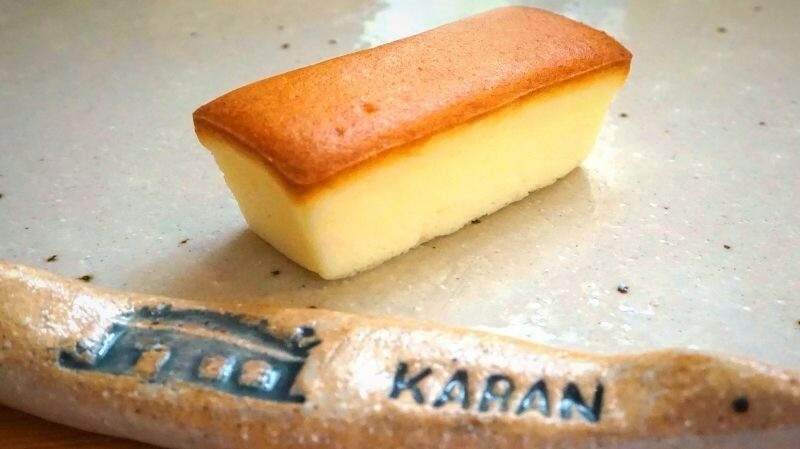 But their most famous cake is the Nishigamo Cheese, and while it may not make a very good souvenir to take back home, it is great if you have to give some souvenirs to people staying in Japan. Also, their orange flavored cake keeps for 10 days compared to Nishigamo Cheese, so you should also considering getting that if you want to take some back home with you. Just notice that these cakes don’t like high temperatures, so if you are planning on taking them back, come to Kyoto in winter.